Our Airbnb host is a retired school teacher who now lives outside Barcelona on a farm. 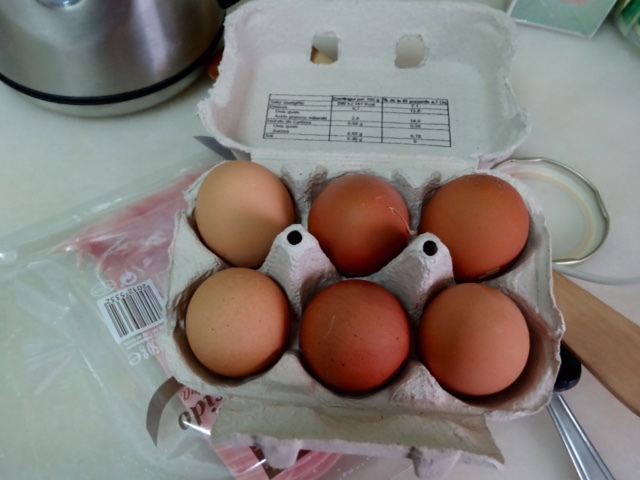 When we arrived at her apartment the fridge was stocked with enough food for several breakfasts and lunches, including these farm fresh eggs and a big bowl of fresh fruit. We went to the FC Barcelona Stadium to get a ticket for the soccer game tomorrow night and to check out the best way to travel to the stadium. It turns out that it is only one bus from our apartment to the stadium, so it will be easy for Bob find his way there tomorrow night. 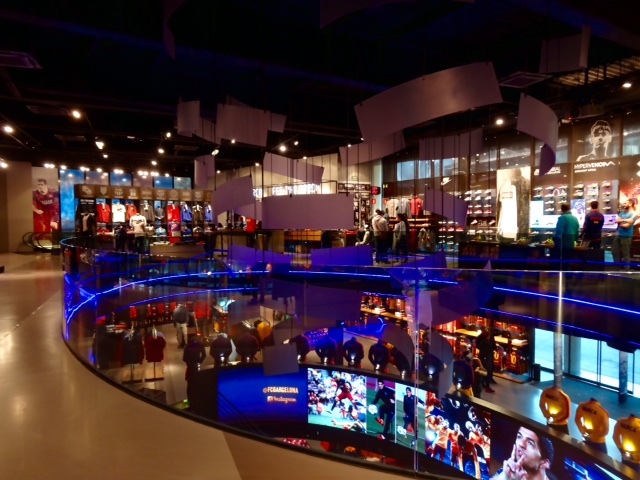 The team store is huge, three levels of all things soccer! The stadium is huge as well, it holds 100,000 spectators, and there were several interesting sculptures on the Stadium grounds. I am going to go to a life drawing session tomorrow night while Bob is at the soccer game, so we head over to the old town, to check out the best route for me to take tomorrow night as well. Turns out that there is a metro line that goes from the drawing studio right to a couple of blocks from home so we rather lucked out on our apartment’s location. 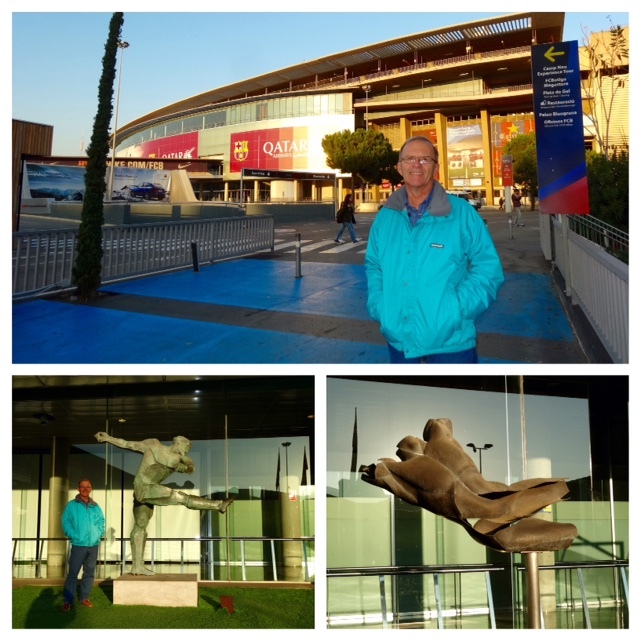 This entry was posted in Airbnb, Barcelona, Spain and tagged Barcelona, FC Barcelona, Sculptures, Spain by Trudy. Bookmark the permalink.